Wisdom teeth are third molars that typically start to grow in when you are an adult or are nearing adulthood. They start to grow in somewhere between the age of 16 and 25. The speed at which they grow varies from person to person. 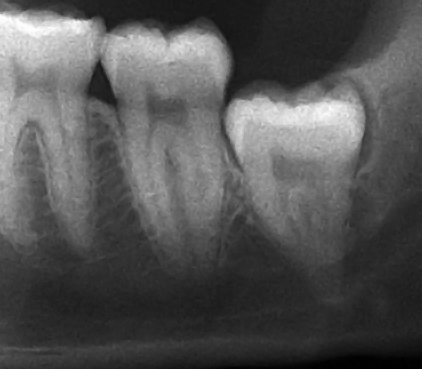 Most people should expect four wisdom teeth to grow in, but some will only end up having two. For people that have two wisdom teeth, they are called hypodontia teeth. There are even some people out there that have more than four, which is called supernumerary. Why do people get their wisdom teeth extracted? It is typical for most adults to get their wisdom teeth extracted because there is either no room for them or they start to grow in sideways. If your wisdom teeth are growing in straight, then there is no reason to have them pulled by an emergency dentist in Los Angeles. Wisdom teeth that grow in sideways absolutely need to be pulled because if not pulled they will be a problem for the adjacent teeth. Not only will it be painful, but they will mess up the alignment of your teeth. If the wisdom teeth are growing in crooked you will feel lots of pain because it is impacted against the teeth next to it. If the wisdom teeth are impacted, they cannot grow properly. Sometimes you can tell if you need to have your wisdom teeth extracted because you will start to feel pain and swelling inside your mouth. If the back of your mouth along the gum line starts to feel swollen then that should be a sign that you should contact an emergency dentist in Los Angeles. It is important that you try to get this done as soon as possible so that it does not cause any problems for the rest of the teeth in your mouth. If you have any questions contact an emergency dentist in Los Angeles to help you with all your wisdom teeth extraction and dental needs. If you go visit an emergency dentist in Los Angeles and find out that you need to you’re your wisdom teeth extracted, do not worry because the process is not a scary as you think it would be. Before the actual wisdom teeth extraction process, the dentist in Los Angeles will administer anesthesia through an injection. Through the needle the emergency dentist is able to apply a substance that will numb your gums so that you do not feel pain as they are extracting your wisdom teeth. After you are numb inside your mouth, the emergency dentist in Los Angeles will start by making an incision in your gum and remove any bone that is blocking the wisdom tooth that needs to be extracted. Then the dentist in Los Angeles can begin removing your wisdom teeth. After the wisdom teeth extraction process is complete the emergency dentist in Los Angeles will finish off by cleaning up the area in which they removed your wisdom teeth. The dentist may also have to stitch up the area to help it heal, but for most cases this is not necessary. The dentist will also put gauze over the area to stop it from bleeding.